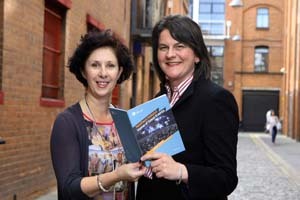 Tourism Minister Arlene Foster has launched the 2013/14 Tourism Event funding programme, which aims to drive visitor numbers, increase spend in the local economy and raise the profile of Northern Ireland as a positive place to visit, live, work, study and invest in. The scheme is administered by the Northern Ireland Tourist Board and Ms Foster said that the events industry is of crucial importance to Northern Ireland. "An innovative series of fresh events covering a broad range of our cultural, arts and sport offering is a great draw for tourists both at home and further afield," she said.